FILE: March nor'easter in Braintree, Massachusetts. 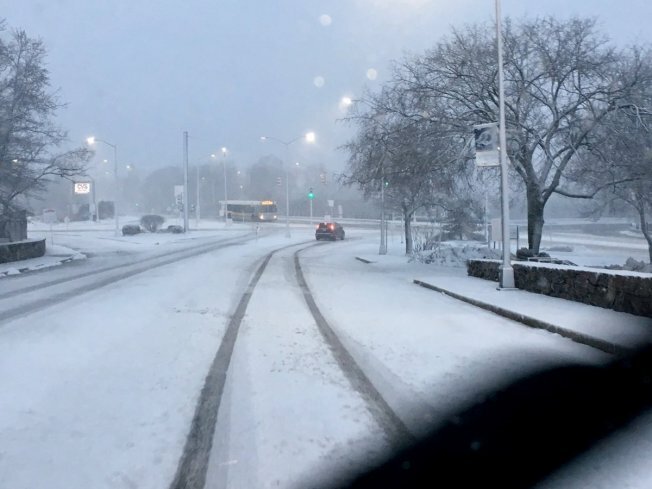 Massachusetts state regulators reportedly are investigating whether Uber hiked up prices during one of the March nor'easters. According to the Boston Herald, the Department of Public Utilities, which oversees the ride-for-hire app, sent Uber a letter last month asking to see the company's fares during the storm which impacted the state from March 3-6. The department also wants to check the number of riders during that time period. Gov. Charlie Baker had declared a state of emergency during the storm. The Herald reports that due to the emergency, DPU sent ride-sharing companies notices telling them not to hike prices. Uber did not respond to the Herald whether it received the notice. The company told the paper they dispute their actions were in violation of state law. Uber could face an undisclosed fine and possible revoke of license if DPU finds they violated the pricing surging practice.